Big Brother's pre-jury members Rachel Swindler, Chris "Swaggy C" Williams, Kaitlyn Herman, Winston Hines and Steve Arienta have voted for the Final 3 player whom they believe should win Season 20. Big Brother crowned a new Head of Household, who in turn nominated two houseguests for eviction, during Sunday night's Season 20 broadcast on CBS. 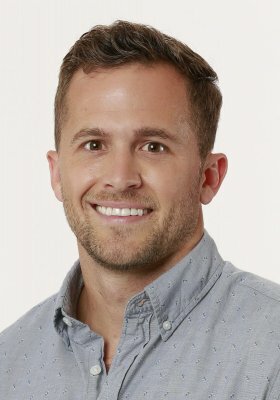 Big Brother evicted Winston Hines from the house instead of Brett Robinson during Thursday night's live Season 20 broadcast on CBS. Scottie Salton -- 6 things to know about the houseguest competing on Big Brother's 20th season. Big Brother's Head of Household, Scottie Salton, won the Power of Veto and kept his two nominations the same during Wednesday night's Season 20 episode on CBS. Big Brother houseguest Chris "Swaggy C" Williams says he'll be taking his relationship with Bayleigh Dayton to the next level once she's out of the house. Winston Hines -- 6 things to know about the Big Brother houseguest competing on Season 20. Brett Robinson -- 6 things to know about the Big Brother houseguest competing on Season 20. Big Brother featured the new Head of Household, Scottie Salton, nominating Brett Robinson and Winston Hines for eviction during Sunday night's Season 20 episode on CBS. Big Brother's houseguests evicted Chris "Swaggy C" Williams from the house instead of Winston Hines under Kaitlyn Herman's HoH reign during Thursday night's Season 20 episode on CBS.